I promised myself that I’d live more spontaneously on this trip to Italy. In fact, I didn’t even have an itinerary planned out. My daughter was busy writing two papers, so I had the luxury of spending time on my own. I used it to explore the parts of Murano that most tourists don’t have time to see. We are staying here all week, in an apartment on a sleepy canal. We have time to shop for groceries, cook, do laundry, wander neighborhoods, and generally feel a bit like we live here. It’s on a side canal in an old factory that has been refurbished into apartments. Large pieces of old machinery grace the hallways like metal sculptures. Our host said it’s the only apartment building on Murano with a lift. Good thing, as we are on the third floor, and even a small suitcase is a drag to carry up flights of stairs. Unfortunately we found another stairway to the bedroom once inside the apartment. Still, we loved it – tons of character and factory-height timbered ceilings in the loft with skylights. Tourists visiting the main Murano canals lined with glass shops and restaurants might wonder if anyone lives here. But when you have the time to wander into back alleys, a whole world opens up. On one stretch we found large spaces dedicated to eating gardens. On my first visit to Venice, I had noted that there were few green spaces on the streets and that people resorted to window boxes and patio pots to provide a bit of plant life. But on Murano, you can have a whole plot to grow whatever you want. Here at the end of winter, many of the gardens looked bedraggled, but blooming daffodils and forsythia promised spring’s arrival. Some gardens contained hearty winter crops still standing in neat rows. Large rosemary plants stood sentinel, some close enough to the chain-link fencing to “borrow” a few sprigs for that night’s pasta sauce. A few plots showed signs of the care-taker already working up the ground, preparing for planting. During wanderings among apartment buildings, I’d see a butcher shop on one corner, a tobacconist on another, and several blocks away, a fish shop with young moms out front, chatting and laughing. These stores were scattered among the apartment buildings the way we used to have small neighborhood stores in my hometown. Our shops did not survive because people started driving everywhere; these thrive because people walk past them every day. The bright yellow Elementary School protected by a large iron enclosure, had a charming display of ceramic handprints along the side of the building. Later I saw a group of little ones parading past me with their teachers. I wonder where they had gone for their outing. On one walk I started to see people with bouquets of flowers. I wondered, were they for a sweetheart? Perhaps they celebrated the first day of spring with fresh flowers? The answer came to me when I stumbled upon the Murano Cemetery. There a group of people, many with flowers, were saying good-bye to a loved one. Most of the graves were decorated with flowers, some fresh, even in this cold at the end of winter. Brooms and racks of watering cans were available for people to take care of loved one’s graves. On Sunday, people stroll. We watched family members pushing elders in wheelchairs, dads indulging children with gelato, nonna tucking the baby into the stroller, young lovers kissing in the sun, grandfathers hanging onto grandkids, everyone holding hands. At our Sunday dinner out, we were ushered into the back dining room, walking through groups of loquacious locals gathered to enjoy each other after Mass, accompanied by a glass of wine. As families arrived in the dining room, they stopped first at the table with the young couple and their new baby. Everyone from nonnas to children cooed at the baby and offered hearty congratulations to the beaming couple. Family comes first here. Yes, people live and work on this island. And finding their world was far more interesting than just exploring the shops full of glass. It’s the hidden Murano that most tourists don’t have or take time to see. That’s their loss, because this is one path to becoming a grateful guest, not just a tourist. Venice – night eye candy. If you like my blog, please leave a comment. You may also enjoy my book Manifesting Paradise, available on Amazon. 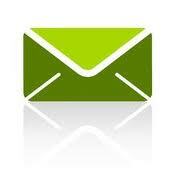 Receive my posts automatically by filling in your email address in the “follow” box at the top of the right column. This entry was posted in enjoying other cultures, gardening, Honoring tradition, Small town life, Travel, travel as a transformation tool, travel in Italy and tagged family life, Murano, ordinary life on Murano, travel in Italy. Bookmark the permalink. So civil…ized. I’m jealous. I wish i was there. I can feel you. When I stayed in Paris for a week, I had a 5 floor walk-up. Can you imagine walking Paris from dawn until dusk and then having to walk up 5 flights of stairs? We have so much to talk about when you get back. Indeed! It’s been way too long.